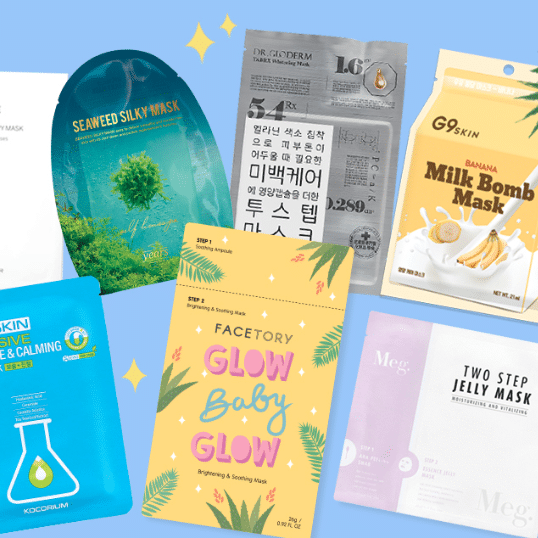 4–5 Monthly Beauty Samples for $10! I always look forward to my monthly Ipsy bags! With this beauty subscription, you receive 4–5 samples each month for just $10. They include makeup, skincare, and hair care products. Plus, everything is personalized to fit your beauty preferences. If that’s not enough, each shipment even comes with a small reusable makeup bag. These have different, adorable designs every month and can be used for anything! This review shares my February glam bag unboxing, as well as savings opportunities and similar beauty subscription boxes that you might be interested in! 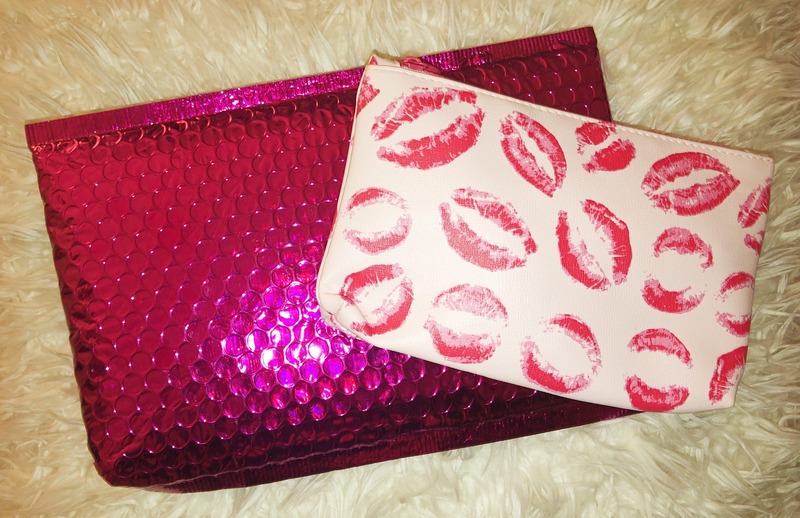 As with all of my previous Ipsy shipments, my glam bag arrived in a hot pink metallic mailer bag. This definitely stands out from the rest of the mail and makes me excited to open it up. It arrived just a couple of days before Valentine’s Day. Inside, I found this month’s makeup bag with an adorable kisses design all over it. There were five great products in my Glam bag this month—I’ll be reviewing each one below. One of the biggest reasons I love Ipsy so much is the number of makeup brushes they include. I’ve received one in nearly every bag! Usually, they include a smaller eyeshadow brush, but I was surprised to find a powder brush this month. As you can see, it’s a hot pink brush. I haven’t used it yet, I’m a little scared to ruin the pretty color. It seems high quality, though, and feels very soft! 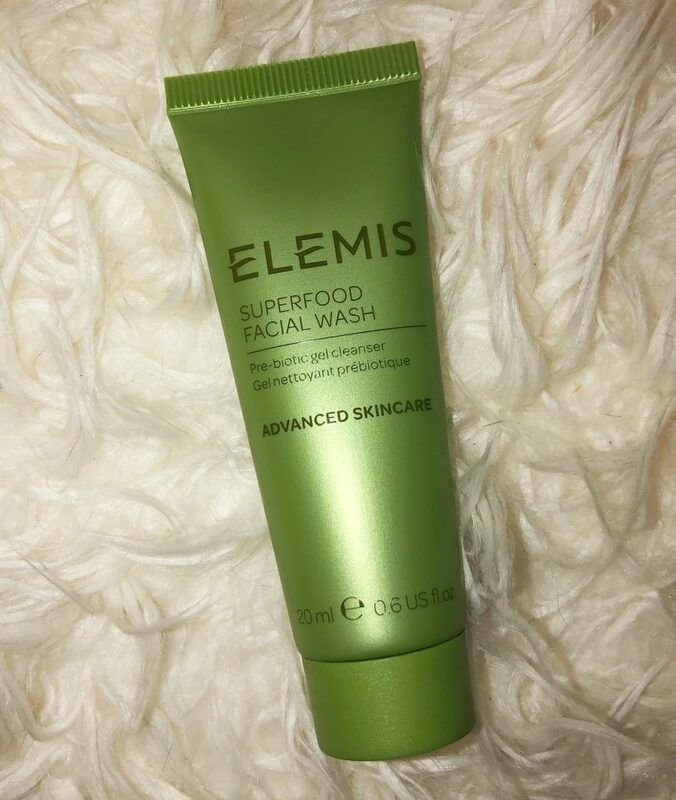 This face wash is free of artificial color, parabens, mineral oil, SLS, SLES, and DEA. Even so, it seemed to have some questionable ingredients (like alcohols and ingredients I can’t even pronounce). I still tried it out, though, and it worked well with my sensitive skin. It felt soft and moisturized after washing my face with this product. Although I’ll stick to more natural products to play it safe, this was nice to try out. 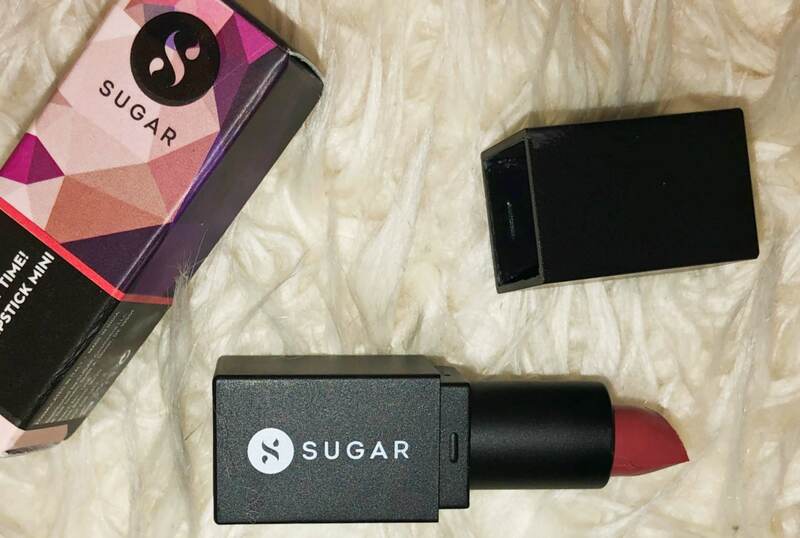 The next product I got was this mini Sugar Cosmetics lipstick in a salmon shade. Bright red lipstick looks terrible on me, but darker, pinker shades like this are much better. It’s the perfect lipstick for Valentine’s Day! It’s pretty long lasting, and the formula is very smooth. I was surprised to see this spendy brand in my Ipsy. GLAMGLOW is known for its amazing face masks, but I’d never seen any other types of products from them until now. 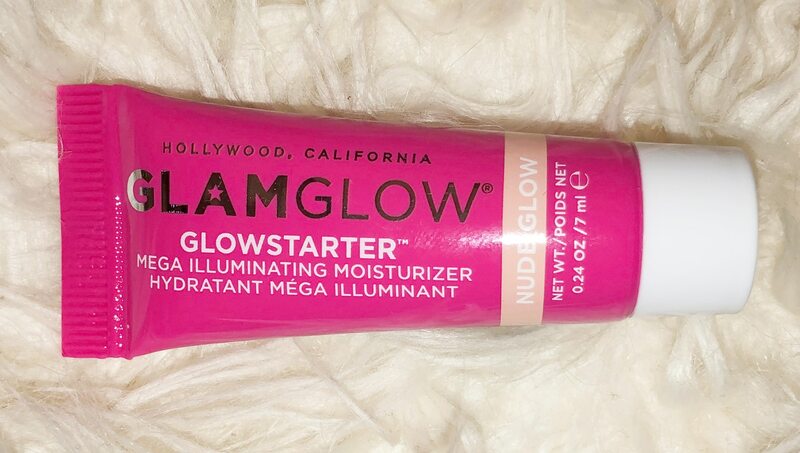 This illuminating moisturizer is a highlighter and a moisturizer all in one! The shade they gave me is perfect for my light skin—it highlights beautifully. I love eyeliner pens, but I have so many black ones. I don’t even know where they all come from. This brown shade was a little different and refreshing. Since it’s a felt tip, I’ll be watching to make sure it doesn’t dry up quickly like many similar eyeliners do. However, it works great for now. Ipsy is already one of the cheapest subscription boxes around. Even so, there are still some opportunities to save money! Although they don’t usually offer coupons for the subscription itself, they do have an online shop that always offers cash-back deals. Here, you can purchase the products you loved from your Glam bag (or even the products you buy regularly). This lets you save a little extra money. These deals range from 15%–30% cash back depending on the brand. They also have limited-time sales and deals in their shop—sometimes you can find a steal here! Ipsy also offers a rewards system that grants points when you leave reviews of your Glam bag and products every month. These add up quickly and can be redeemed for products in their shop! If you haven’t already noticed, there’s quite the variety of beauty subscription boxes to choose from. You should definitely check out our list if you want to see all the best options out there. In addition, there are a few that I would recommend if you’re interested in boxes like Ipsy. 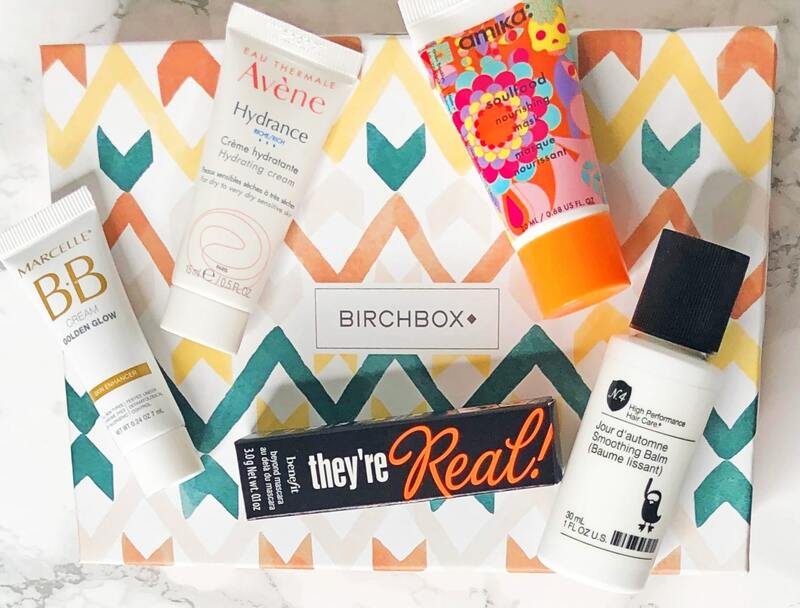 Birchbox is often compared to Ipsy because it’s the same price ($10) and provides the same number of samples. People often question which one is better. Personally, I prefer Ipsy because they seem to personalize my products better, and I love the reusable makeup bags. However, I also love that Birchbox provides more natural skincare products, which is why I subscribe to both. It’s hard to recommend one over the other! Since they’re so cheap, it might be worth it to just try out both and see which is a better fit. Sephora Play is another cheap beauty box. Like Ipsy and Birchbox, they provide 4–5 monthly beauty samples for $10. The main difference is that they only provide products sold at Sephora. These tend to be high-end brands that are more expensive. This is a great option if you regularly shop at Sephora and want to try new items without going to the store, but I wouldn’t recommend it if you don’t purchase these spendier products.